“Every time a bell rings, an angel gets it’s wings.” The beloved American holiday classic comes to life as a live 1940s radio broadcast. It’s Christmas Eve and the unimaginable has happened. George Bailey is on the edge of ruin: thousands of dollars are lost and with seemingly no way to save the old Bailey Savings & Loan, George wonders if the world would be better off had he never lived. 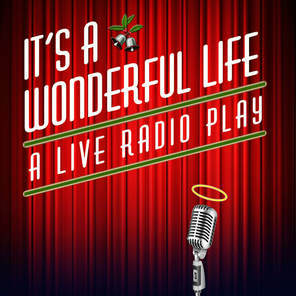 With the help of a quirky angel and an ensemble of radio actors bringing the town of Bedord Falls to life, It’s a Wonderful Life — A Live Radio Play reminds us what is precious and important in life.